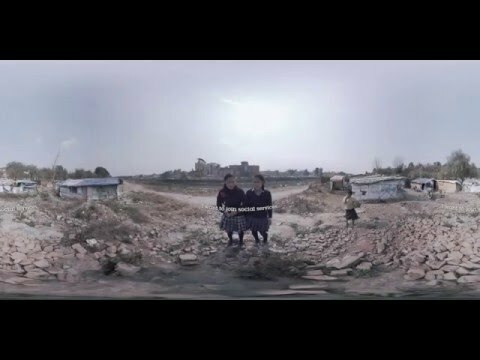 Children’s charity Theirworld released a new virtual reality film highlighting the education emergency for a generation of children in Nepal ahead of the one year anniversary of the devastating earthquake that hit in April 2015. The film “Safe Schools: Nepal,” which bought together full-service digital agency Rain and Theirworld, is being used as part of the charity’s new #SafeSchools campaign. It captures 360-degree video and audio from Nepal which transports and immerses the viewer into the country’s incredible landscape, to experience the earthquake’s continued firsthand impact and to hear the challenges children face getting to school, the shocking condition of the temporary schools and the heartbreaking stories of children who have been left out of school. “Safe Schools: Nepal” highlights the tragic consequences for children in Nepal and around the world who are exposed to trafficking, early marriage, child labor because their education is neglected in the aftermath of an emergency. In 2015, humanitarian emergencies and crisis affected the education of more than 80 million children and young people, yet less than 2% of humanitarian aid went to get children back into a safe school. The campaign calls on world leaders attending the first ever World Humanitarian Summit to commit to launch a news fund that ensures children return to school quickly in the aftermath of an emergency. Rain partnered with Christian Stephen, the award-winning conflict journalist and Co-Founder/ Creative Director of Freelance Society and The Uprising Creative’s virtual reality studio VEHICLEvr to bring the film to life. Designed for viewing on any VR device or headset, the user experience is also seamless on desktop and mobile platforms like YouTube 360. In addition to being shared across Thierworld’s social channels, the video is being distributed by YouTube 360 for desktop, mobile, and Cardboard, and by Littlstar for desktop, mobile, headsets, Cardboard, and AppleTV.